Alt. rockers Argonaut tried to better their brilliant debut. And they succeeded! 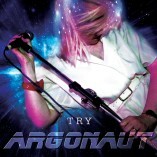 One track in on Argonaut’s sophomore effort ‘Try’ and lead vocalist Lorna already sounds deceptively sweet. As if she could lure a horde of Carole Annes into the light with a slight inflection. A rebel girl…in a band. 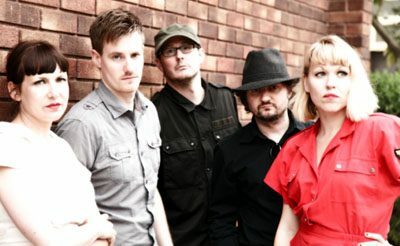 You could throw several 90s comparisons in Argonaut’s way but in her vintage dress, Lorna isn’t afraid to outsmart her singing peers, sounding off with an overall style that – although reminiscent – is entirely the band’s own. ‘MBID’ is their Lichtenstein meets Spielberg – a sonic equivalent to ‘Jaws’ (listen to the lyrics) in comic strip form. It POPS! KAPOWS! & drowns in your ears for a short but perfectly formed two minutes – a swift kill if there ever was one! Guitarist Nathan’s playful new wave nuances come on like a snarkier Fred Schneider, bursting between Lorna’s lyrical kicks like sticky surf-punk flavoured bubblegum. It’s a fun and infectious dynamic the pair share, akin to the raucous to-and-fro stylings of Kathleen and Kenny of The Julie Ruin. An album highlight, ‘Erase You’ (a nod to Total Recall perhaps?) brings things down a notch with its heartbreaking tale of love turned to hate turned to breathy ice-cool coos and stinging apathy. The song demonstrates the adept nature of the band when it comes to rock versus pop sensibilities; swapping the frantic for the fragile without veering off into balladic clichés. Single ‘Seven’ is an adrenaline shot for those with a maths fetish (and must be experienced live) but it’s ‘September’ that manages to uncharacteristically pass the literal seven-minute mark. Featuring synthstress Abby on backing vocals, the song imparts beautiful harmonies, lulling your well-mellowed head into a false sense of security as it then proceeds to hit a My Bloody Valentine wall of sound. …And how would I describe this theme of theirs? Well, I imagine it’s what a desert voodoo ritual on planet Tatooine might sound like. With an accompanying laser show…and a guitar that groans like Chewbacca hooked up to a vocoder. Try it you must, hmmm! This review was written by Barnaby William Thornton; it was merely posted by Michael McCarthy.